Moss man wins again. Loren Roberts completes a two-week Hawaiian sweep. Roberts ends Hale Irwin's winning streak in the event. The Champions Tour is wrapping up its season debut on the Kohala Coast this weekend at Hualalai, a Four Seasons resort. It'll cost you a pretty penny to stay and play. Shoot, for the price of a three-day package, you could stay ten nights at our condo! But they do have a nice web site. 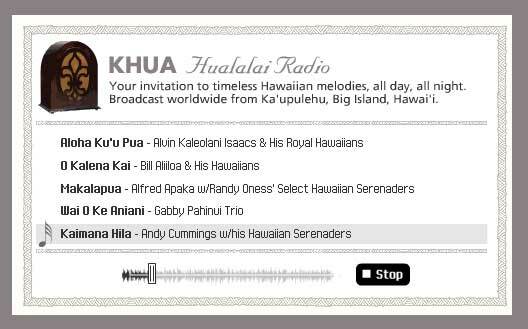 The home page contains its own "radio station," where you can select from five island tunes. And, you can check out the scorecard and layout from Hualalai as well, but you have to search for it through the Four Seasons' main home page. Save you the trouble here. Stupid internet. I'm messing around on a computer when I should be watching Golf in Hawaii! ...is being on the mainland, and tuning in the fine network coverage of golf on the islands. The last two weeks saw the PGA Tour on Maui and Oahu, and this week, It's the Big Island's turn to shine as the Champions Tour comes to Hualalai Resort at the MasterCard Championship. George Fuller, GolfWeb Travel correspondent, weighs in with a meandering feature (but then, he can be forgiven for meandering a bit when it comes to our favorite spot on earth, the Big Island).
" Somewhere high above the Big Island of Hawaii’s Kohala Coast, midway up the slopes o commanding Mauna Kea Mountain, the late afternoon wind brushes over the fields of deep brown lava and golden kiawe bushes. A lone pueo owl floats in circles above his territory searching for his evening’s meal. " Welcome To Our Kona Condo Weblog! We've been wanting to start a weblog about Kona, Hawaii and our beautiful little condo there, Kona Isle D-11. We love Kona, and we'd like to share some of our thoughts, images and maybe an occasional video. So as a way to start the new year off right, we'd like to welcome you to our new Kona Condo weblog! You can see images and info on our condo at the website of our great management team, Nick and Knudson & Assocaites. You can also check out the condo's rate and reservation schedule, and see if the condo is available during the time you'd like to come to Kona. Please check back regularly as we add to our new weblog!